Poets and Painters (2009), published by the South Delta Artists Guild, edited by Carla Weaver and Nancy Hancock. A Discussion of 12 Step Programs as Spiritual Practice For Coping with Addiction, 2009 (unpublished). An Assessment of a Work Conflict Using the Wilmot-Hocker Assessment Guide, January 2008 (unpublished). 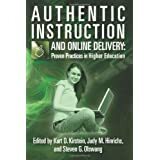 Best Practices to Support and Succeed with eLearning, June 2008 (unpublished). 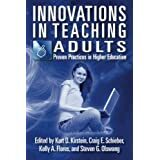 Fostering Innovation and Creativity in Your Organization: How to Encourage and Support Your Employees to Express Their Creative Genius, 2007 (unpublished). Managing Public Art Galleries in the 21st Century, 1994 (unpublished). Cover artwork for Doing Exemplary Research by Peter Frost and Ralph Stablein, 1994 (published).